In large bowl, break up cookie dough. 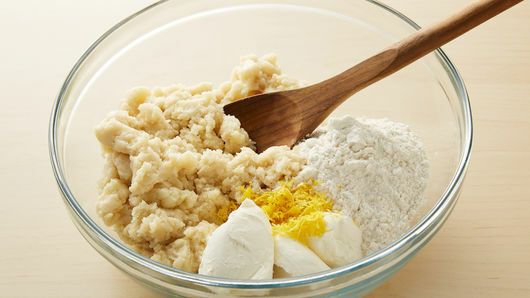 Add cream cheese, flour and lemon zest; stir with spoon or hands until well blended. Shape dough into 38 (1 1/4-inch) balls. Place 2 inches apart on cookie sheets. Press thumb into center of each cookie to make indentation, but do not press all the way to the cookie sheet. Bake 12 to 14 minutes or until edges are golden brown. Immediately remake indentation in each cookie with end of wooden spoon. Spoon rounded 1/4 teaspoon jam into each indentation. 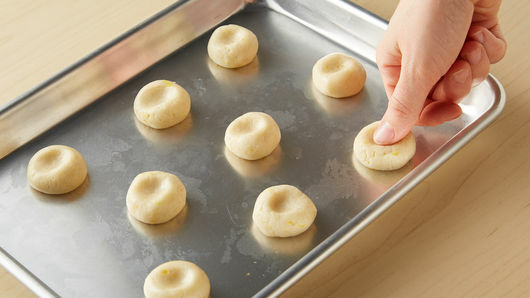 Cool 1 minute; remove from cookie sheets to cooling racks. Cool completely, about 20 minutes. Meanwhile, in small bowl, stir powdered sugar and lemon juice, adding lemon juice until desired drizzle consistency. Drizzle over cooled cookies. Store in airtight container. Substitute any of your favorite flavors of jam or preserves for the raspberry jam in this recipe. Freeze cookies in airtight container up to 1 week. 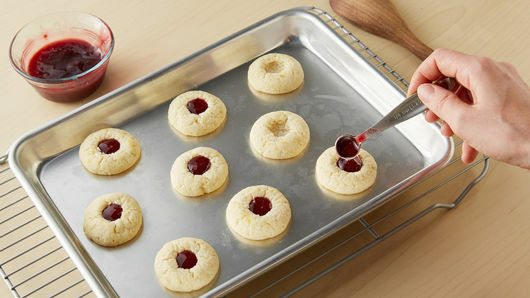 We know them as raspberry thumbprint cookies, but in their native Sweden they’re “hallongrotta,” which translates to “raspberry cave.” And we’re big fans of this particular version, which starts by mixing our legendary sugar cookie dough with cream cheese, flour and lemon zest. 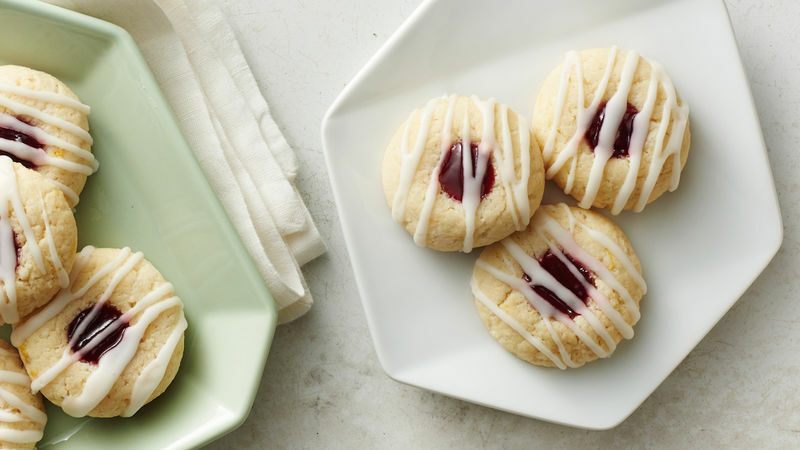 This makes for a subtly lemon-flavored cookie that’s exceptionally rich and moist, and the perfect vehicle for a sweet-tart “raspberry cave” in the middle. 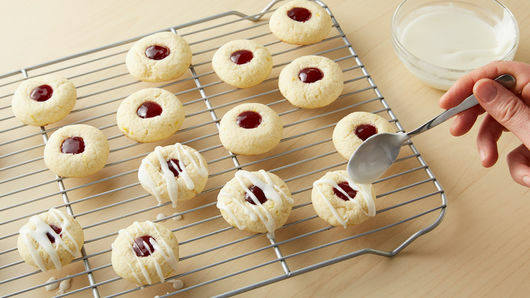 So even if you’re an expert when it comes to how to make cookies, we bet you’ve never had thumbprints quite like this.